A convenient and adaptable marking solution. 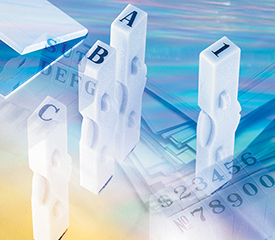 Simply connect pieces vertically or horizontally to create a customized alphabetical and/or numeric message. Perfect for use in hard to reach locations. Three different font sizes are available. Xtensions are compatible with industrial stamp pads.